Are you tired of boring Norwegian textbooks? The kind of “Hello, my name is …”. We are. Definitely. We know that learning Norwegian is hard work, but why shouldn’t hard work be fun? That’s why we created The Mystery of Nils: a Norwegian textbook based on a coherent story instead of dull dialogues, which starts very simply, but develops into a fascinating novel. Can’t stop reading? Well then – you will have to learn Norwegian! 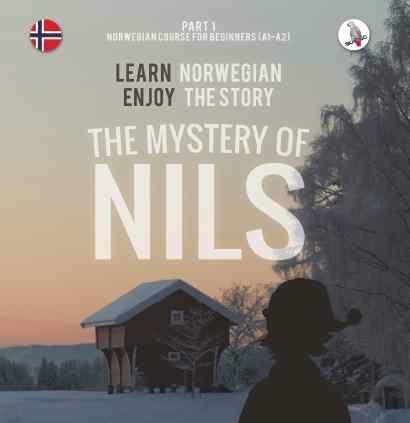 The Mystery of Nils is the most complete Norwegian course you can imagine. a fascinating textbook, made up of a coherent story, which starts very simply, but develops into a fascinating novel.